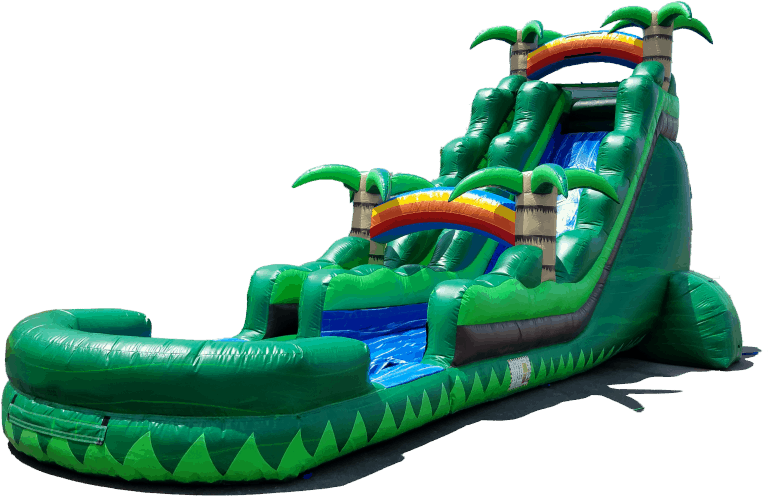 Experience the 22 ft Tropical Crush slide with pool! Take a ride on this very impressive water slide. This water slide will be a great hit and showstopper at schools, churches, summer camps, and the ultimate backyard parties.